We provide on-site hog roast catering using our unique gentle slow-roasting ensuring succulent meats with wonderful crackling. This method of gentle slow-roasting ensures tender, succulent meat with wonderful crackling. We can provide canapes and starters, salads or vegetables, desserts, cheese board and coffee. We would be delighted to provide a quotation for your specific requirements. Our hog roast catering service is entirely different to the spit roast option in that our pigs are oven baked slowly over several hours to our own unique roasting methods. This method of gentle slow-roasting ensures tender, succulent meat with wonderful crackling. We operate a full food safety management system HACCP. 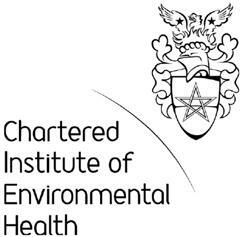 All staff are fully trained by our in house food safety trainers to Chartered Institute of Environmental Health levels 2 and 3, our managers are trained to level 4. Here at Harleys Hogroasts, we are confident that we serve the best hogroasts in South Wales. Having been established for over 25 years we provide a quality hogroast catering service to thousands of satisfied customers throughout South Wales, the South West, Wiltshire, Gloucestershire, Herefordshire and the Midlands. If you are looking to cater for your event outside of these areas please contact us and we would be delighted to quote for your specific hogroast requirements. We are delighted to be of service to many local hotels as well as catering for individual celebrations, weddings and corporate events. Catering for all occasions from small private parties to large corporate events nationwide, we offer a complete oven pork roast service for 20 to 1,200 to the complete satisfaction of our clients. Visit our Testimonials page to see what customers say about our service. We have a proven track record of providing a full catering service for 3,000 people in one day! As a family-run business of professional caterers, we have an exemplary Food Safety history and totally understand the importance of high-quality food for your special occasion. Our experience and exemplary safety record make us the ideal corporate catering choice. We are proud of the quality products we offer, where food hygiene and food safety form the essence of our continued success. Whether youre looking to entertain clients, host a networking event or treat your deserving staff, our catering events are guaranteed to please. 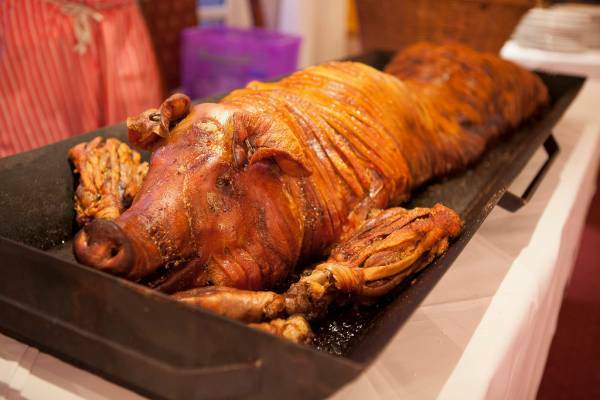 Our competitively priced hogroasts are freshly cooked by our qualified staff, who will carve and serve to your guests. Our kitchen is located in what was formerly a traditional bakery where we continue to use the original 100 year old bread oven and modern bespoke ovens to slow-roast whole and half pigs, suckling pigs, whole lambs and joints. We can also offer a comprehensive in-house range of equipment hire, professional staff, bar services, refrigeration hire, music and flowers for your event. In conjunction with our sister companies Catherine John Ltd and South Wales Marquees we offer a complete professional marquee service. Our hogroast service is offered with a variety of options that include crusty bread, bread rolls, home made apple sauce, sage and onion stuffing or can be extended from a party to a full wedding menu to include canapes, a selection of salads, starters, desserts and cheese boards. Whatever the occasion, be it a wedding, anniversary, christening, birthday, corporate event or Christmas party, Harleys Hogroasts would be delighted to provide a quotation for your specific requirements.